3) set off a WMD in the middle of the 74% Christian city. 1) 8 – 14 – 20 – 16 was the date encoded on the mysterious cube that was found on the Georgia Guidestones in September of 2014. It was notched into the monument right above its “first commandment,” which relates to depopulating the Earth down to 500 million people. I was struck by the “coincidence” that the encoded date was one that fell right in the middle of the Olympics. 2) August 14, 2016 is a special date in the Jewish calendar, Tisha B’Av, which relates to great catastrophes in Jewish history. 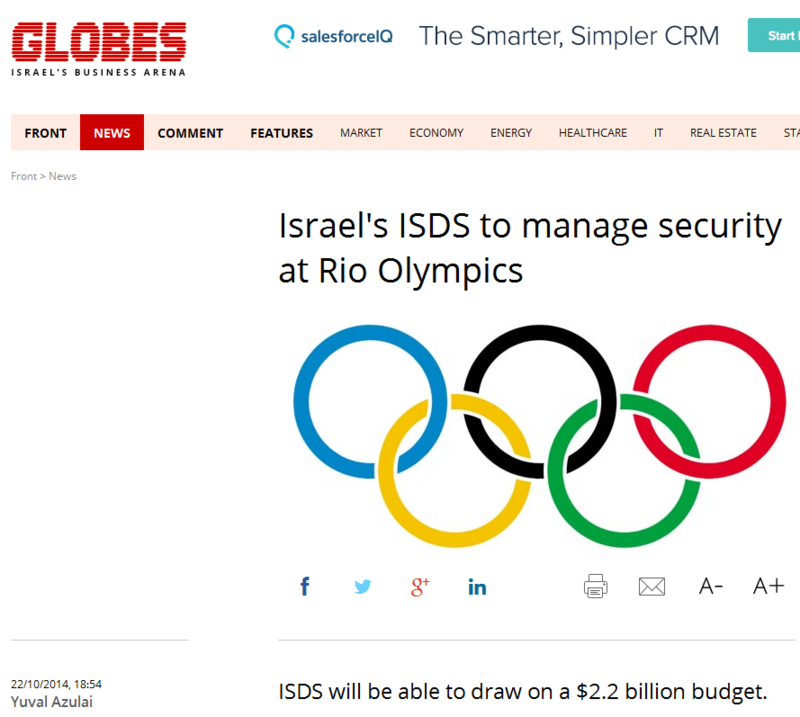 Since an Israeli company will be running the Rio Olympics security systems, I suspect Israel will be conclusively tied to the planning and execution of the attack before the end of September. 3) August 14, 2016 falls in the date range of a special appearance of all five visible planets. The planets will be visible in the evening sky of Rio from August 13-19. Given the “elite’s” obsession with astrology, they’ll no doubt want to take advantage of the appearance. 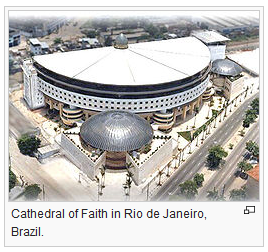 4) August 14, 2016 falls on a Sunday, so Rio’s churches will be packed with sheep for slaughter. Given that “ISIS’s” supposed objective is to trigger the “Great End Times War,” the globalists will hit Christian people and Christian symbols hard with real and/or simulated attacks. To explore these points in greater detail, read Globalist Agenda Watch 2016: Update 1 – Did the Georgia Guidestones cube reveal the date of the Olympic terror attack? So within the mainstream narrative, ISIS wants to trigger the final apocalyptic battle that will bring forth their “End Times” redeemer, the Imam Mahdi. But if we look at the real agenda behind this scenario, the globalists are attempting to artificially fulfill Muslim, Jewish, and Christian “End Times” prophecies so they can put forth religious figures that will bring their flocks into the New World Order. The globalists have already selected someone to play the role of the Imam Mahdi, and he will be verified as the true Mahdi by Iran’s Ayatollah Khamenei. Likewise, the globalists have already selected someone to play the role of the Judeo-Christian Messiah. 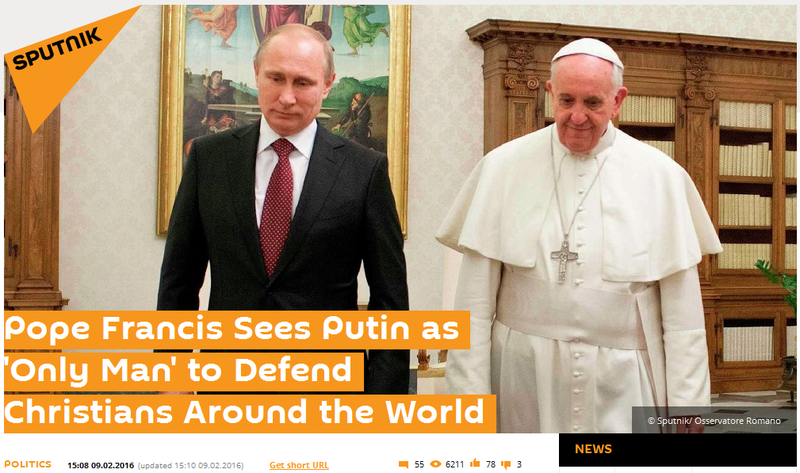 His status as the true Christ will be verified by two witnesses – most likely Pope Francis and Rabbi Amar – and his name is Vladimir Putin. Putin and the currently “hidden” Mahdi will be the figures that step forward to end the war that ISIS’ upcoming attack starts. 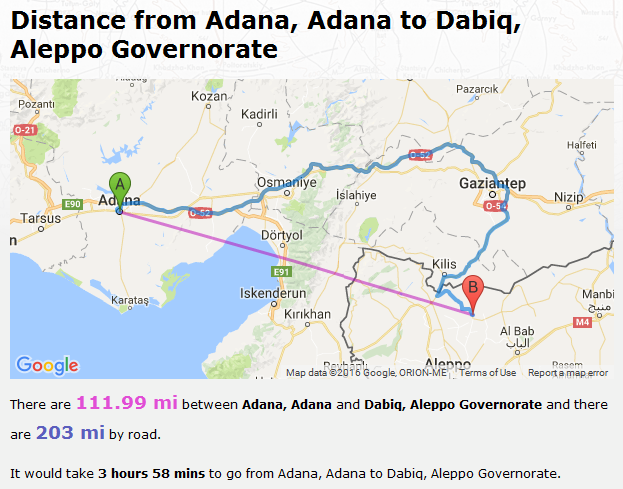 Since the Olympic attack will be ISIS’ attempt to draw the “armies of Rome” to Dabiq, Syria for the Apocalyptic war, what other step could they take to make sure everyone shows up for the battle? Well, they could launch simultaneous attacks everywhere that their cells have been spread by the globalists. This would trigger a 9/11-scale shock all around the world – it would be a Global 9/11. 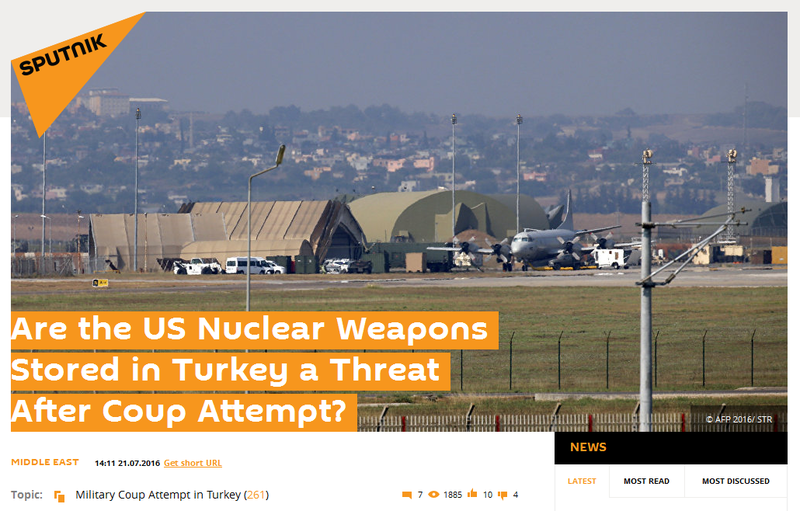 On the day of, or in the weeks following, ISIS’ Global 9/11, the Turkish military could raid Incirlik Air Base to seize the nukes. And since they are long-time NATO members, they might possess the expertise to bypass the control mechanisms that prevent the nukes from being improperly used. 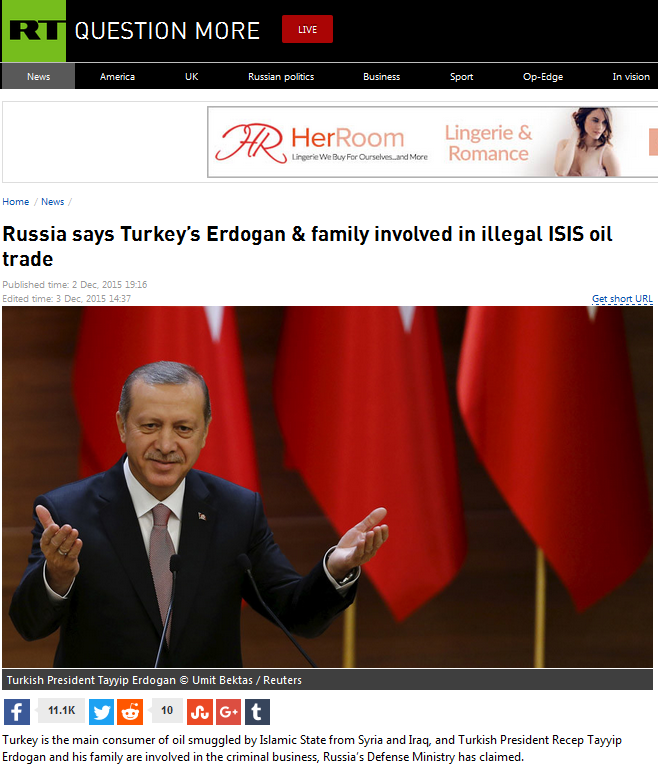 Erdogan and ISIS would then have their own nuclear stockpile. Now imagine if Turkey actually does this… how fast would the world’s militaries rush to that area to keep the nukes geographically contained? Pretty damn fast, don’t you think? One thing you’ll note if you follow globalist prophecy propagandists like Tom Horn is that they pull together prophecies from every spiritual tradition to convince people we’re in the “End Times.” And the globalists work very hard to craft their “End Times” operation so all the prophecies can be passably fulfilled. I guess it should come as no surprise, then, that there is a Nostradamus prophecy they’ll be fulfilling as well. 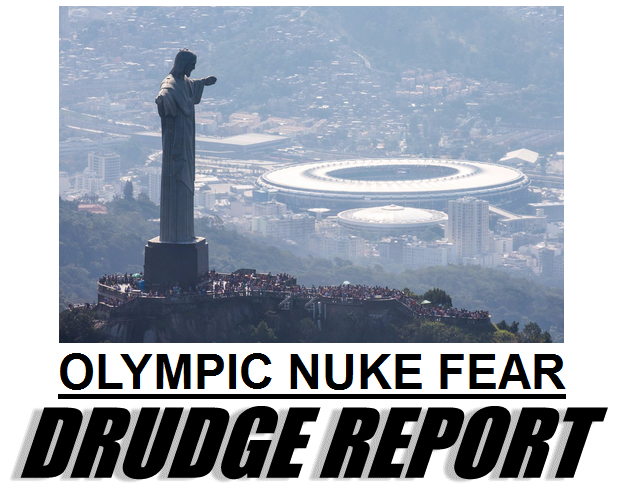 Line 2: “The games of slaughter” refer to “the Slaughter in Rio” I’ve been writing about. 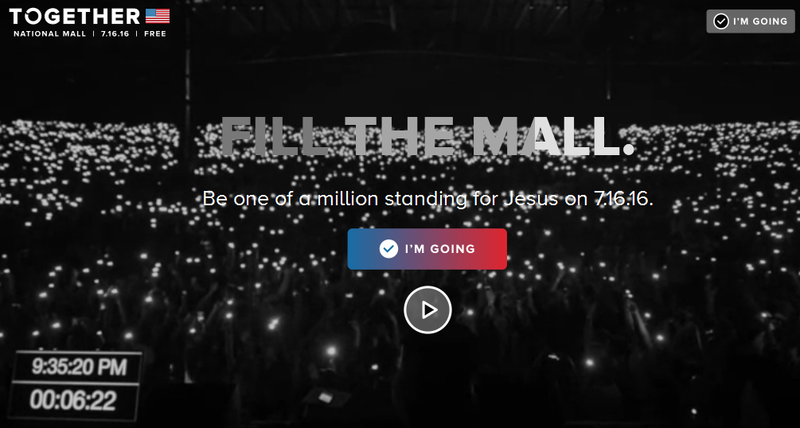 Lines 3 & 4: The great millennium refers to the “1000-year Kingdom of Christ,” and “not far” is referencing that the “Kingdom of Christ” won’t begin until 7 years after this September. That being said, the objective of such an attack would be to outrage all Christians worldwide in order to mobilize the “armies of Rome” to march on Dabiq. Given this objective, it’s reasonable to suspect that they would target more than just a single Roman Catholic church; they’d want to hit at least one Eastern Orthodox church and perhaps one or more Protestant churches as well. So which Orthodox church might they hit, you ask? > The church has the word “martyr” in its name — how appropriate. 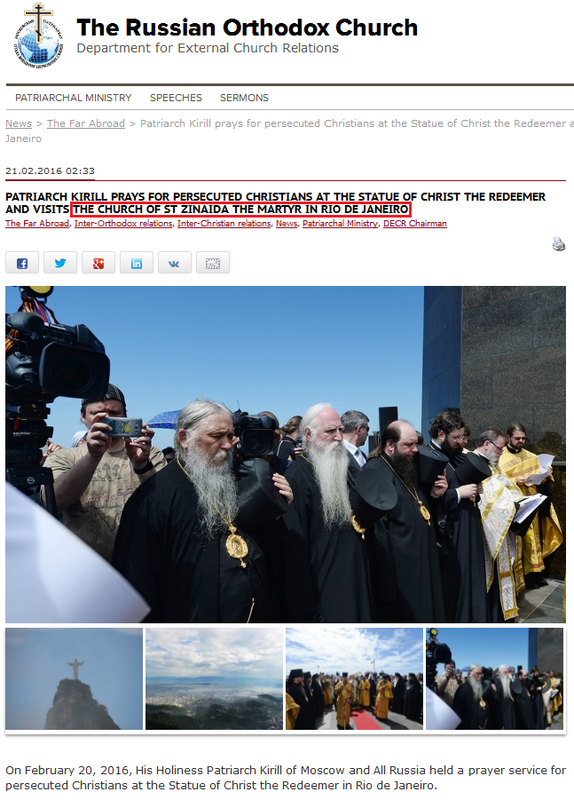 > Russia’s chief clergyman attended service at the church after praying at the feet of the #1 target in Rio, the Christ statue, and the prayers were for “persecuted Christians” (ISIS’ specialty). So if you want to really piss off the Eastern Orthodox Church and the Russian people, there could be no better target. He and his company are a salient example of the symbiotic connection between the authorities in Israel and the country’s private security consultancy firms. In large measure, he was the forerunner of the system, as the founder of one of the first local security firms that broke into the international market. Since then the system has become more sophisticated, to the point where the boundary between private and state is sometimes blurred. The result, at any rate, is a growing phenomenon of “private armies” from Western countries, which provide security services to governments in the Third World. In Israel the system works like this: The Defense Ministry, the Foreign Ministry or the Mossad gets a request to provide security advice or to train army or security service forces for the ruler of a country, usually a tyrant. Because the authorities cannot, or do not want, to assist the ruler directly, although they view his request as important in order to promote security or political interests – they ask a private company to provide the service being requested. The BMCC course advisory board includes another company whose name spells deadly repression: International Security and Defense Systems (ISDS), an Israeli firm represented by its president, Leo Gleser. The ISDS web site says the company was “established in 1982 by highly experienced officers, former operatives of I.S.A. Israeli Security Agency, the MOSSAD and the Defence Forces.” The Israeli newspaper Haaretz (31 August) says Gleser and partner Arye Avnat “met in the early 1970s during their military service in the Haruv reconnaissance unit” and later set up ISDS, which recently hired “former Mossad department chief Yehiam Meret” and Israel’s former police commissioner. Together with the CIA, the Mossad is one of the deadliest, dirtiest instruments of state terror in the world. In other words, this death squad – part of the CIA’s reign of terror during Reagan’s campaign of exterminating Central American insurgents – used techniques of “disappearing” people perfected by Israel’s intelligence agencies against Palestinian Arabs (as well as Mordechai Vanunu, who blew the whistle on Israel’s huge nuclear bomb factory), and innumerable others around the world. 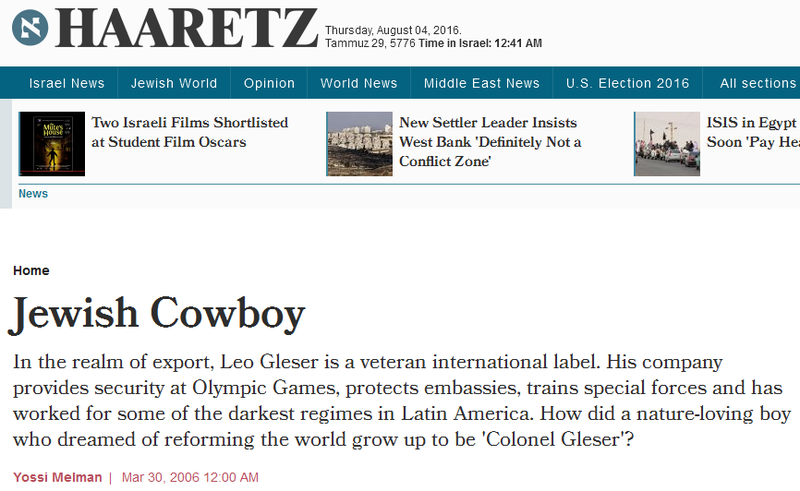 Coverage of Gleser’s training of this Honduran death squad has also cited the 1991 exposé by Andrew and Leslie Cockburn in their book Dangerous Liaison: The Inside Story of the US-Israeli Covert Relationship. 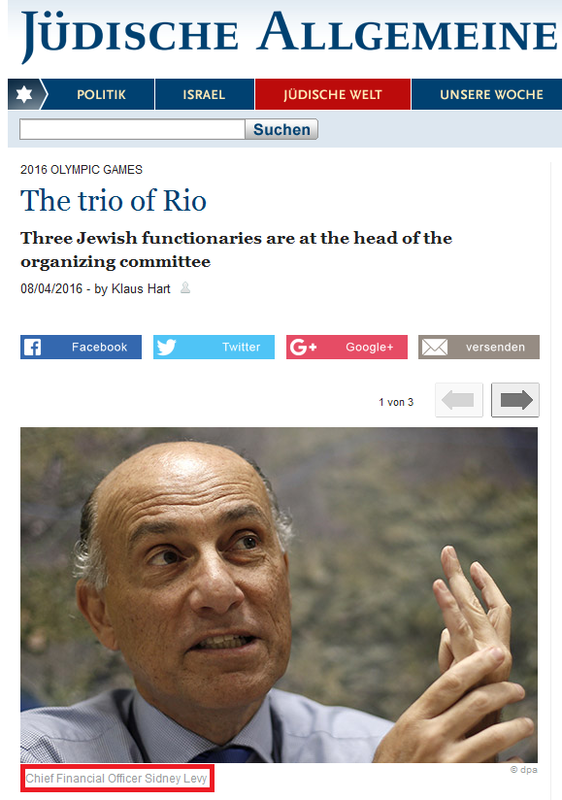 So an Israeli security company led by a man alleged to have organized Latin American death squads is running the Olympic security systems. 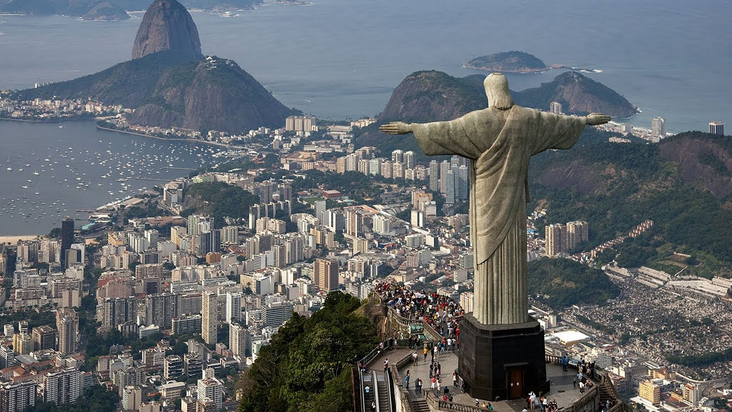 Would you call the “ISIS” assault force that has been assembled to strike Rio a death squad? Yep, I suppose you could. 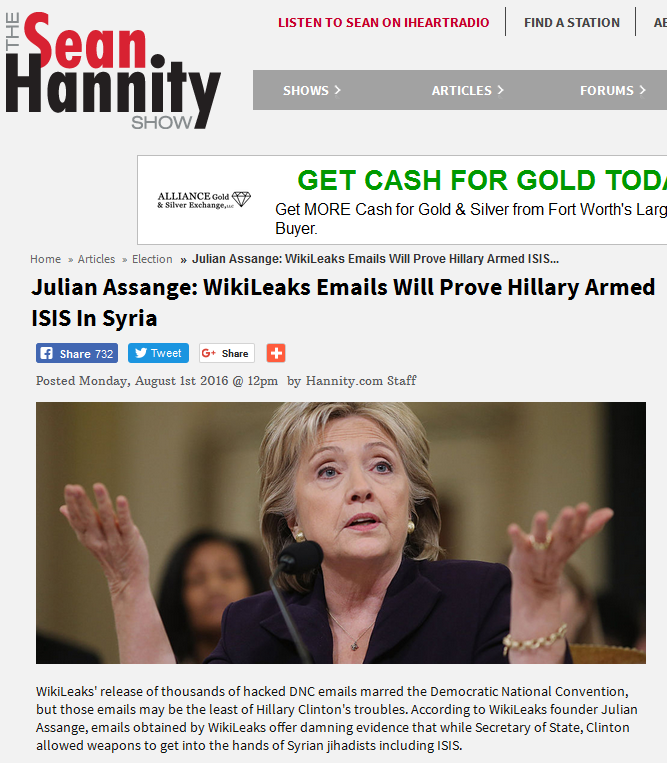 As I said before, the globalists are using their Wikileaks front to torpedo Hillary’s campaign so Trump can slide into office and bring the US into Putin’s (and the Rockefellers’) NWO. Rest assured that both candidates know their roles in this, so don’t cry for Hillary. Thanks to the reader who put me onto this. I’ve been through two spiritual awakenings in my life. The first was a journey towards understanding spiritual reality, and the second was a journey towards understanding the earthly reality in which I live. Jumping straight to the point, I mistakenly embraced the concept of “the ultimate ends always justify the means” after the first awakening – a concept with which the “elite” are likely quite familiar. And it took my second awakening to realize I was wrong (especially in the case of those who choose the means of lying, stealing and killing in pursuit of supposedly noble ends). A person who, in the pursuit of some “Great Work,” repeatedly lies takes on the habit of lying. And that habit, left uncorrected, solidifies into his character becoming that of a liar. A person who, in the pursuit of some Great Work, repeatedly steals takes on the habit of stealing. And that habit, left uncorrected, solidifies into his character becoming that of a thief. A person who, in the pursuit of some Great Work, repeatedly kills takes on the habit of killing. And that habit, left uncorrected, solidifies into his character becoming that of a murderer. So over time, you end up with a pack of unrepentant liars, thieves and murderers pursuing that “Great Work” – who no doubt use all manner of high-sounding ideals as justification and rationalization for what they’re doing and what they’ve become. Now let’s imagine, for a moment, that this “Great Work” is a “New World Order” or a “Kingdom of Christ” that actually comes into being. Who is left running it? A pack of liars, thieves and murderers of course. Through their choice of low means, they took something that started out as a noble-sounding idea and turned it into a nightmare. So would I ever join such an Order and kowtow to such a pack of men? Of course not; I’d have to be a moron. As much as I love them as fellow incarnate aspects of Source Consciousness, I cannot allow their lies to go unchallenged. Lies quite simply piss me off, and I won’t stand for them. As to the “suggestion” from the second writer, I will not back away from my blog under any circumstances. I do it out of love for all and in service to Spirit, and only a homo sapiens ape would back away from such a spiritual duty out of fear of discomfort or physical death. To be a human, one must choose to follow the call of one’s heart and conscience regardless of the desires of the comfort-seeking monkey we currently inhabit. And although we live in a world where our bodies can be broken by others, our spirits can be broken only by ourselves (by giving in). In the end, I will do what I feel Spirit calls me to do, they will do whatever they decide to do, and Universe will sort out the results. And so it is. While I was rolling my son to Starbucks this morning, I came across an old woman on the sidewalk. She stopped me and asked me to open a bottle of water for her, and I could tell by her appearance and manner of speech that she was a Jewish lady (I’m equipped with Raytheon’s Advanced Phased Array Jewdar; it can detect and track up to 72 Jews within a 33 meter radius of my position). Is she one of those dreaded Mossad hit-grannies I’ve read about in Geriatric Spy Quarterly? Has the bottle cap been dipped in some sort of CBR contaminant? Is she getting my fingerprints on the bottle so it can be planted at a crime scene later? After taking a nanosecond to ponder these weighty questions, I opted for kindness over quasi-paranoia and opened the bottle. Let’s hope it doesn’t cost me. 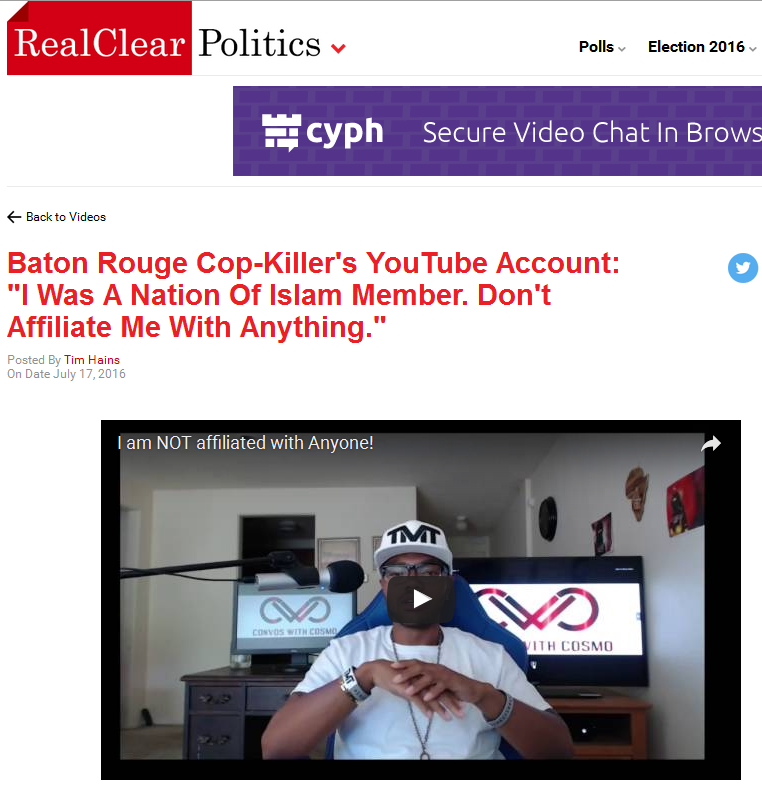 This entry was posted in Globalist Agenda Watch 2016 on July 31, 2016 by kenneth. Q – So in the United States, who are the “existing political figures” – which figures represent the “Establishment” in people’s minds? 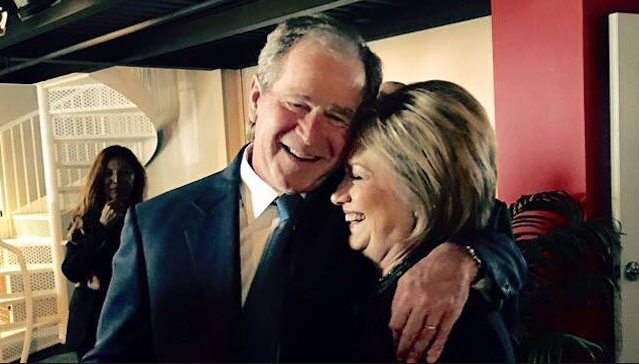 A – The Clintons (on the Democrat side) and the Bushes (on the Republican side). Q – Which American political figures were hung out to dry during Leaky July? 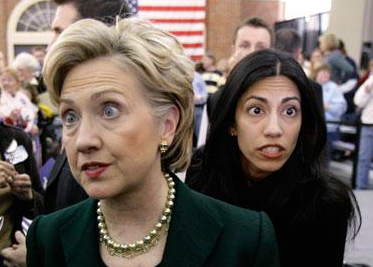 A – The Clintons (with the commencement of the Hillary Leaks series) and the Bushes (with the release of the 28 Pages). Q – In the United States, who is the “outsider who will set things right again”? A – Donald Trump, who is publicly shunned by the Bushes (the Republican Establishment) and publicly opposed by the Clintons (the Democratic Establishment). Q – So in the coming US Presidential election, who is the “Establishment candidate” and who is the “Anti-Establishment candidate”? Q – On the global stage, which national leader is most widely perceived to be an Anti-Establishment figure like Trump? 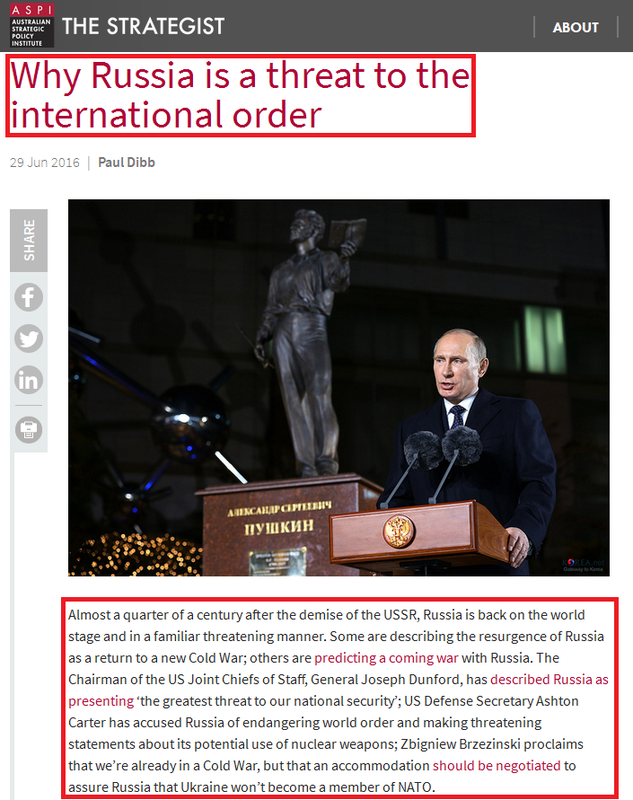 Q – What alternative to the established world order does Vladimir Putin offer? 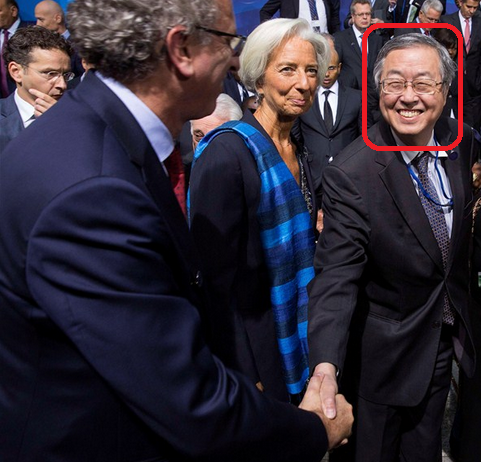 Since the G20 nations are all run by politicians owned by the same International Banking Cabal, getting them to form the NWO is something that could be done at any time. It takes more than simply getting the “leaders” to vote for it, though; the general population of these nations must follow their leaders into the new system, and this is what the BRICS alliance is all about. It is an exercise in public relations. > When he talks about “truly independent states,” he is referring to the phony return to “national sovereignty” that is part of the NWO narrative. The globalist vision for the NWO is to have a world of smaller, seemingly independent nations that must cooperate in order to maintain their security and a modern standard of living. And that international cooperation is to take place through multilateral institutions that the globalists control, with the globalist-created, BRICS-rebranded UN being the centerpiece of it all. 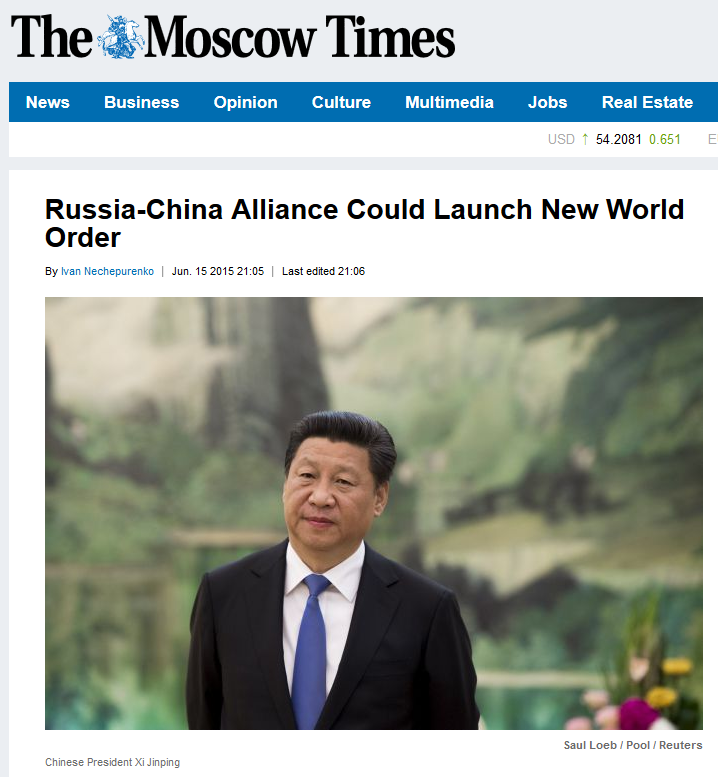 So with all this set before us, what roles do Hillary, Trump and Putin play in the globalists’ NWO plan? Hillary represents the established world order that will be defeated in favor of the BRICS New World Order. 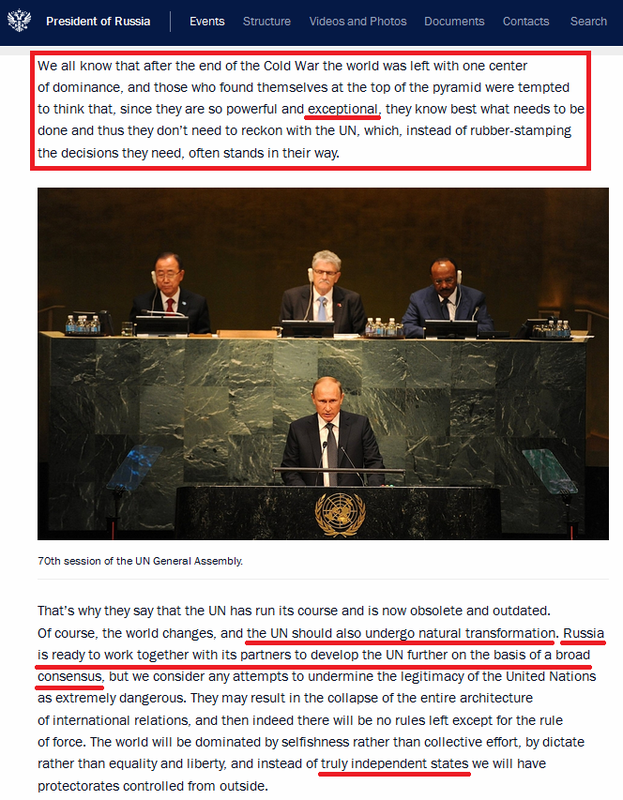 Putin will be the de facto or de jure leader of the New Order (possibly as Secretary-General of the UN). And Trump will cooperate with the New Order due to the fact that it will appear to be a return to national sovereignty. 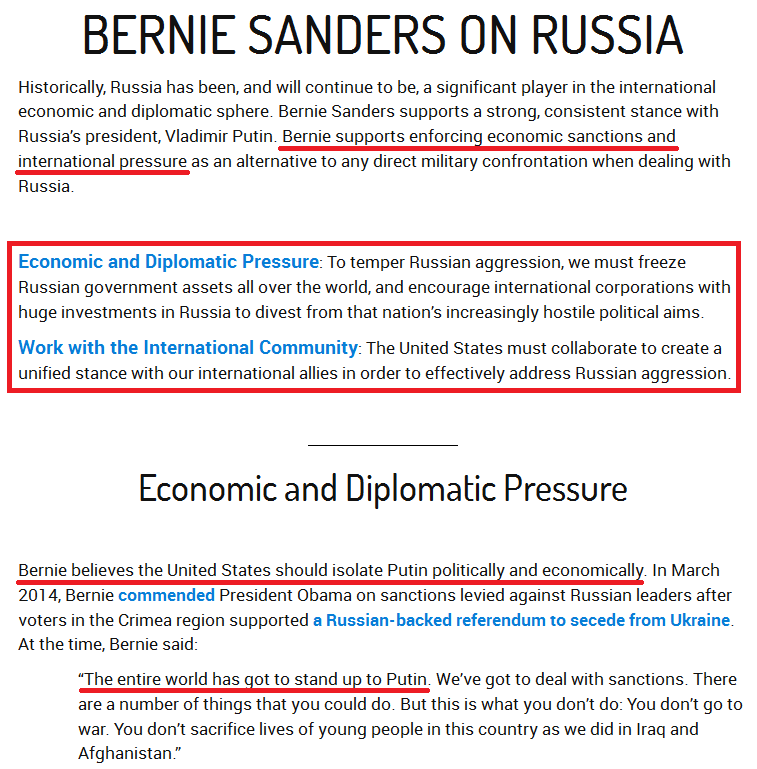 And since newly elected Western leaders must be seen as “Anti-Establishment” and amenable to cooperation with Putin, Hillary is scripted to lose this election. 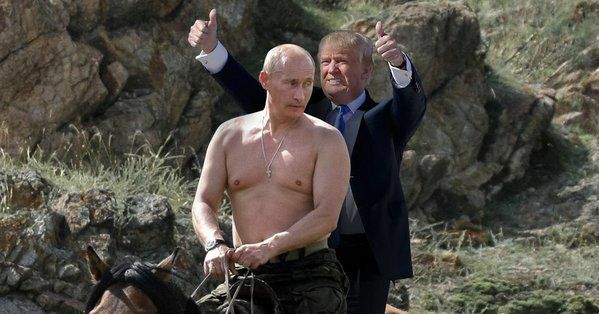 The globalists will not allow the presence of the sullied old Western leaders to stain the reputation of Putin and his NWO. P.S. – For the record, Rand Paul appeared to the Anti-Establishment nominee back when I wrote “Throwing the Game: Why the globalists are exposing their own false-flags.” But his failure to energize the electorate led to his replacement by someone who was more loud, more stupid, and more showy, Donald Trump. 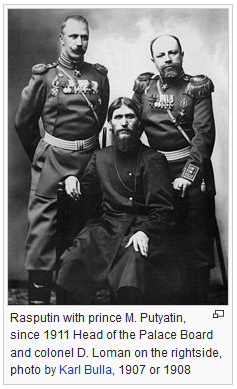 The article from which this excerpt is taken, Vladimir (Ras)Putin’s Jewish, Communist, and Bloodline Connections, is expanded upon in Israel’s Chief Sephardic Rabbi has confirmed that Putin is a Jew. So in this short siege, Erdogan was publicly seen holding a knife to the throat of Incirlik and its supposed nukes on the night before the Chairman of the Joint Chiefs of Staff visits. This could be the propaganda setup for a “real” seizure of the nukes in the coming weeks. I’ll go deeper into this “Turkey Scenario” in my next entry. This entry was posted in Globalist Agenda Watch 2016, NWO on July 27, 2016 by kenneth. …From Infowars.com (and by the way, if “the elite wanted this information suppressed,” they wouldn’t have released it; they were just saving it for the right time). 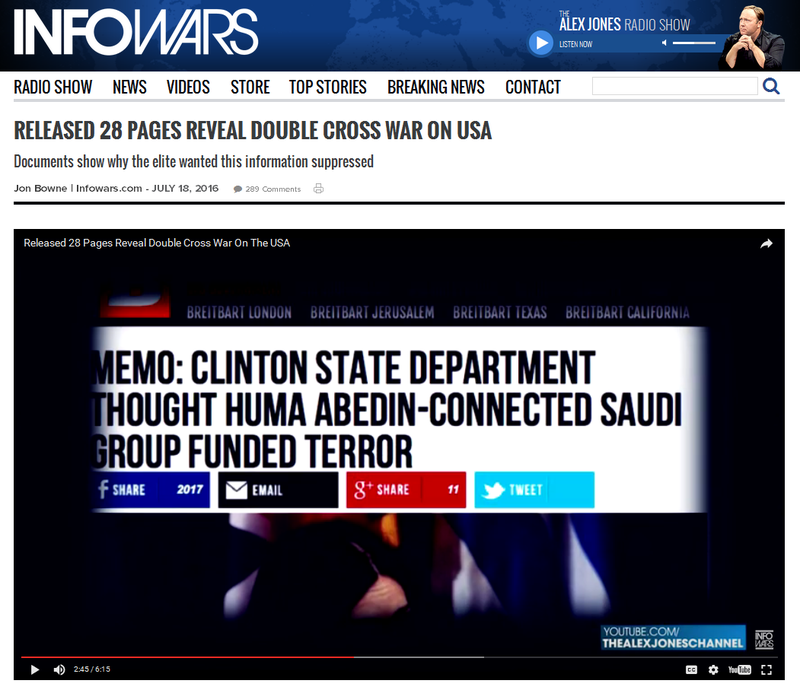 I looked into the Hillary-related information in the video, and it all checks out except for one detail: it appears that Osama bin Laden’s son Abdullah bin Laden, not his brother Abdullah bin Laden, was connected to the World Assembly of Muslim Youth. 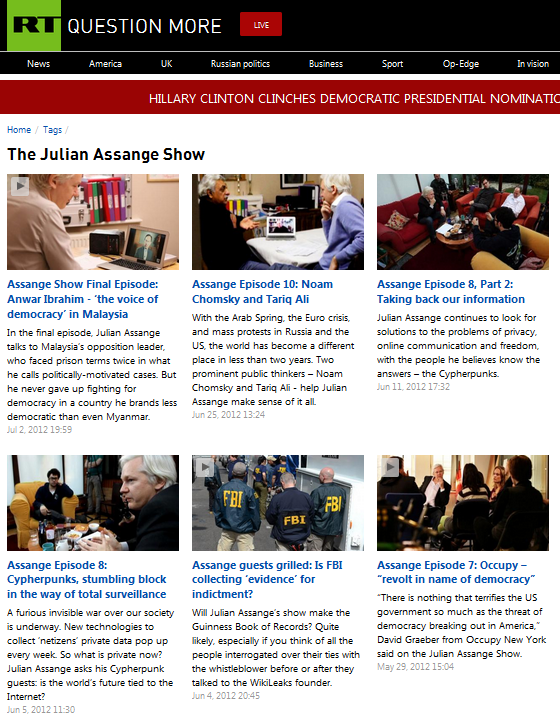 In the coming months, watch for Wikileaks to flesh out the connections offered in the video as part of their new Hillary Leaks series. 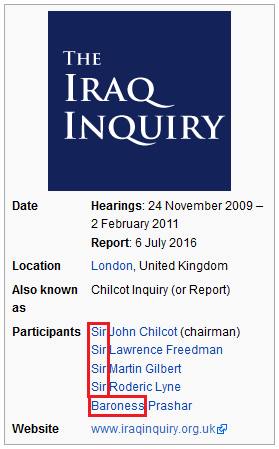 1) The UK’s long-delayed Iraq Inquiry report, which sets up Tony Blair to take the fall for the Iraq War, was released on July 6. 2) The long-delayed release of the missing 28 pages from the 9/11 Report, which sets up the Bushes to take the fall for 9/11, was released on July 15. 3) The first installment of the Hillary Leaks series, which will eventually set up Hillary to take the fall for any number of wrongdoings, was released on July 22. As you can see, what we have here is a coordinated campaign. And in the next part of this entry, I’ll show you who is behind it and why they’re doing it (hint: it’s not the Russians). As for the Democratic National Convention, I’m wondering if it will be as unexpectedly rocky as the RNC was unexpectedly smooth. 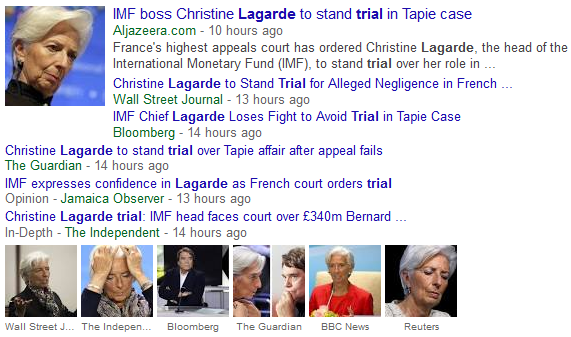 As you can see, the Inquiry was done by 4 Sirs and a Baroness. So it was the people they represent, the “royals,” who were behind the preparation of the Report, the delaying of its release using various excuses, and the final dumping of it just 9 days before the next item on our list was dumped. Thanks to the reader who put me on to the Inquiry, and we’ll get back a little later to the (non) punishment Blair (and the Bushes and the Clintons) can expect to face as a result of all these exposures. Why would Obama, a “closeted Muslim” who bows deeply to the Saudi King, release information that is damning to the Saudis (and the Bushes)? And why would he do it just 9 days after the “royals” release a damning report on Bush’s partner in crime, Tony Blair? Were there giant demonstrations and widespread civil disobedience that forced him to do it? No, there was no big surge in the supposed public pressure that made him release the Pages; he released them at this specific time because his bosses told him to do so. Wikileaks, Anonymous, and Edward Snowden are all globalist fronts. The globalist intelligence conglomerate uses them as conduits to do limited hangouts of classified information. 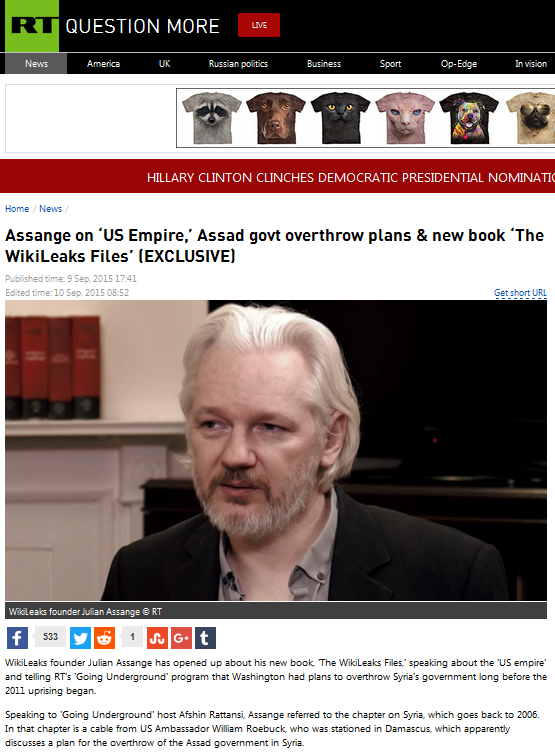 The leaked information is then used by their agents in the mainstream and alternative press to do credible stories that uphold the globalist narrative. And what is that narrative? With all this set before us, we see who is behind the Leaky July we have just experienced. 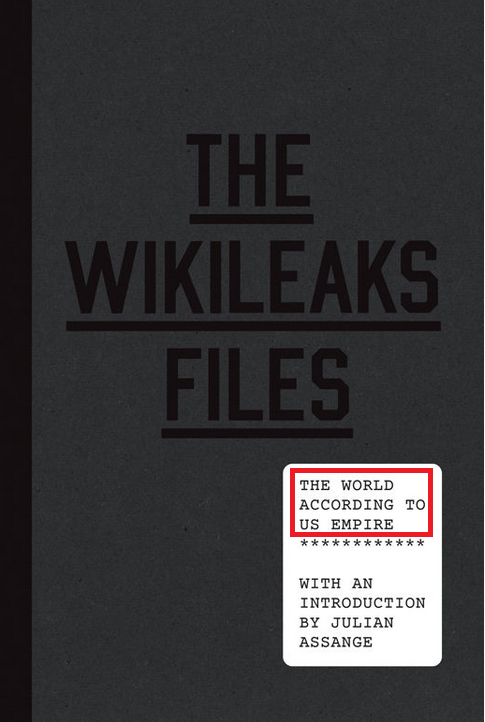 The British “royals” are a leading element of the Occulted Powers network which runs the whole show, Barack Obama is a frontman who serves that network in its US division, and Wikileaks is a project of the intelligence division of that network. It was the globalists (the royals, the Jewish central bankers, and their Freemason minions that all together constitute the Occulted Powers) that orchestrated Leaky July. It wasn’t the globalist frontman Putin or his Russia division; he’s just playing his part in the phony East vs. West dialectic drama. As for the purpose of the leaks, they are aimed at facilitating the takedown of the West so the East can bring in the New World Order the globalists have been planning all along. If you are a new reader, read Understanding the NWO Strategy to better grasp what I’m talking about. This entry was posted in Globalist Agenda Watch 2016, NWO on July 24, 2016 by kenneth. This entry was posted in NWO on July 23, 2016 by kenneth. 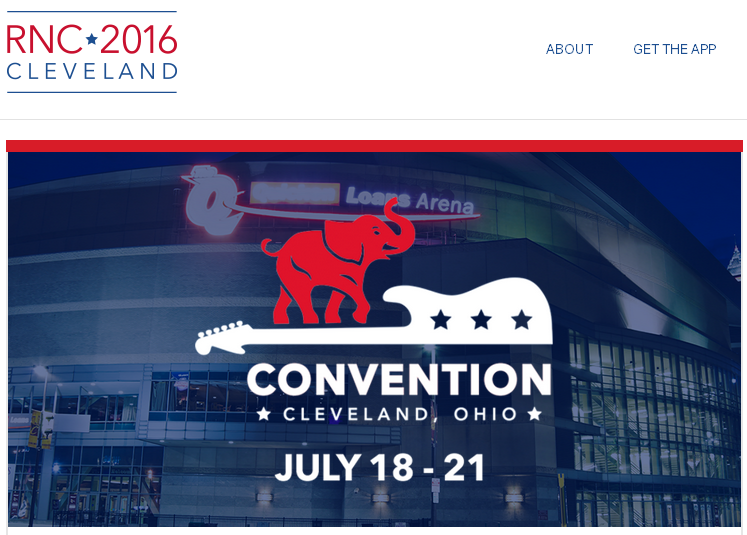 Over the course of the next few days, I’ll be doing my best approximation of a live feed to cover the RNC in Cleveland and any other globalist-related news that crosses my radar. For your convenience in reading it, I’ll place each new update at the top. Now that the RNC is over, I can only remark on how smoothly it went. As expected, much of the Republican Establishment showed its supposed distance from Trump by ditching the Convention (which kept Trump from shaking hands with the Bushes right before they go down for 9/11), the mainstream press nitpicked Convention speakers (using weak attacks based on plagiarism charges), but there was no major drama outside the building. It is as though Soros and Co. called off the dogs. Since the Establishment does want Trump to win, I guess it makes sense that it would be so. …Take note of the picture he’s holding. At the Transition Point, the globalists will do a massive limited hangout of Israel’s role in worldwide terror attacks and the Jewish role in worldwide banksterism. This will make the head of the Jew pop up from the whack-a-mole board. What will Trump do then? In answering this, you see why the Jewish elite want their boy in office. He will whack them in a way that looks good to the public whilst guarding them from any serious, real retribution. Meanwhile, the average Jew on the street will become even more reviled than the average Muslim on the street. No matter how uncomfortable things get for you in America (or any other country) after the globalists scapegoat the “Ziojews,” don’t run to Israel. Death awaits you there. Shelter in place, and if need be, “convert” to Messianic Judaism or Christianity as cover. If you do that convincingly (and do not compromise yourself by talking otherwise around electrical devices), they will pass over you. …I couldn’t access the article through either of my browsers (it’s being blocked), so I had to go through the Internet Archive to access and store it here. Will this be used as a pretext for violence in Cleveland tomorrow? We’ll just have to wait and see how much play it gets in the morning news cycle. In keeping with the globalist script, the Bushes (along with the Saudis and the Israelis) are about to go down for 9/11. And since the elite don’t want their NWO American President Trump to be tied to all that, they are maintaining the appearance of enmity between the Bushes and Trump. 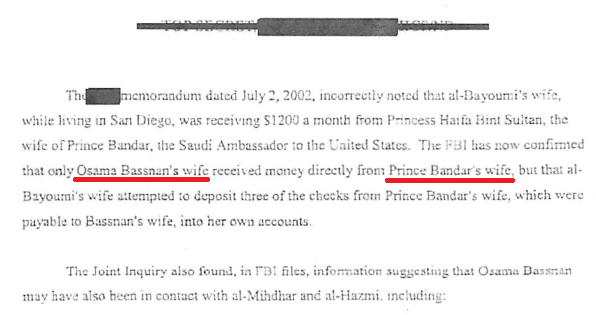 …we see there was a connection between Saudi Prince Bandar and the Saudi intelligence handlers that oversaw the supposed 9/11 hijackers (including al-Hazmi and al-Mihdhar). 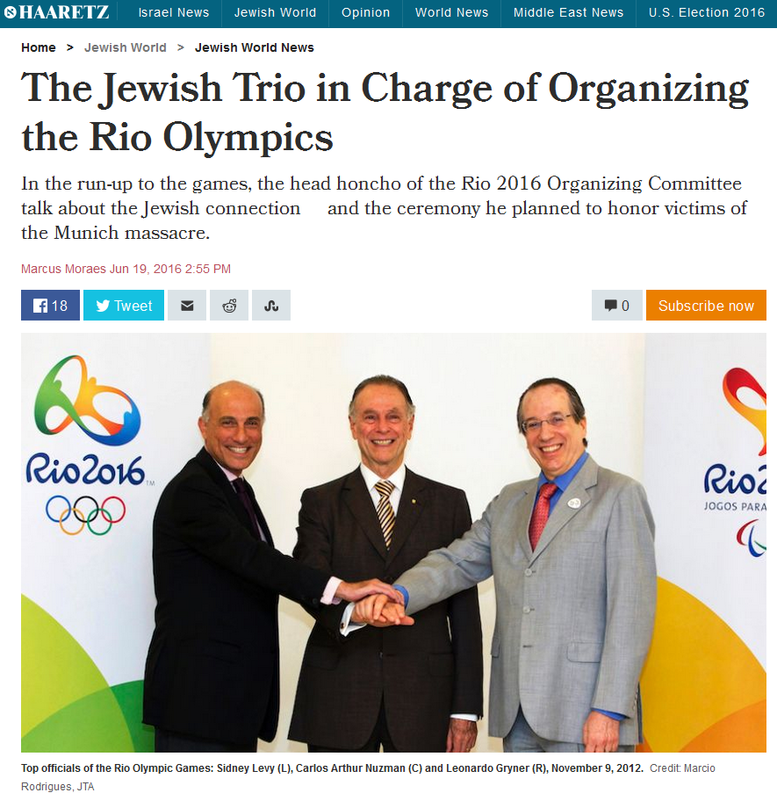 3) Have the two sides turn their weapons against Israel when it is fully revealed that Israel was the driving force behind both 9/11 and the ISIS attacks (especially the massive attack planned for the Olympics where an Israeli company is managing all the security systems). All this being said, it is absolutely NO COINCIDENCE that the 28 pages were released at this particular and pivotal time. The script is playing out as expected. 1) I brought up Trump’s close, marriage-sealed alliance with the elite Jews last Monday, and the globalists now realize that their public narrative is very vulnerable on that point. 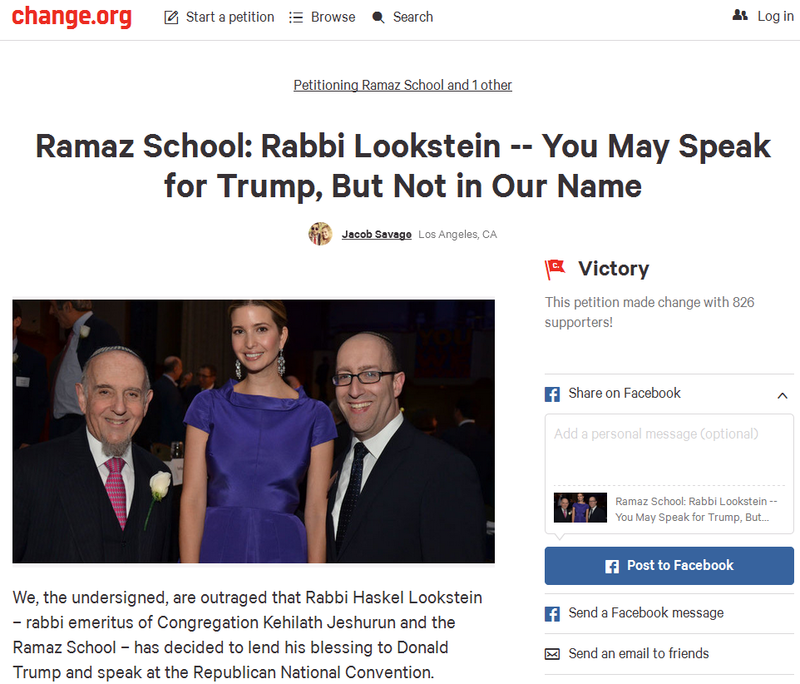 As a result, Rabbi Lookstein dropped out on Friday to minimize their risk. 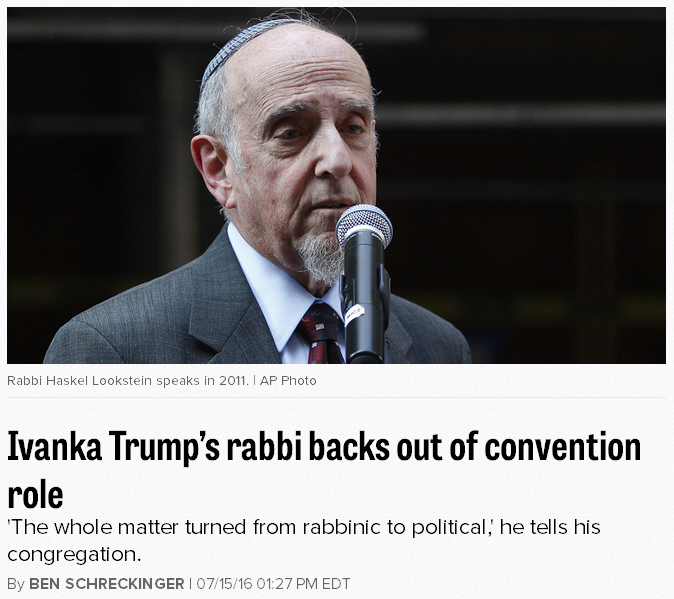 Having Ivanka’s rabbi and converter give the convocation would have gotten the attention of a lot of people. 2) The petition was done to reinforce the public image of Trump as an anti-Semite. The elite Jews will be using fear of Trump to scare the common Jews out of America (and into Israel) over the next few years. Why and how, you ask? It is important to realize that the elite Jews have no more regard for the common Jews than the gentile elite have for us. We are all cattle to them, and the strategy of the Jewish elite is to cast aside their herd of 14 million Jews in favor of a herd of 2.2 billion Christians. 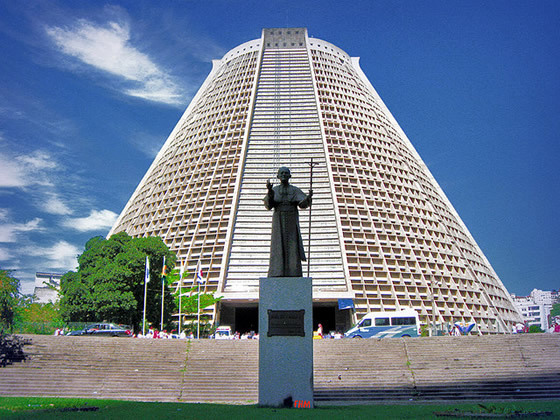 It is for this reason that they’ve taken control of the Roman Catholic Church (by the infiltration of Marrano Jews through the Jesuit Order), the Eastern Orthodox Church (by using their Communist front to shut down the Russian Orthodox Church, then reboot it with KGB-selected clergy), and much of the Protestant Church (by taking control of Christian media and doctrine, especially doctrine related to Revelations and the “End Times”). Now that they have effective control over Christianity, the elite Jews no longer need the common Jews. And since the common Jews have outlived their usefulness, they will be gathered in Israel for a mass culling several years from now. Killing them off will leave the world with the impression that Jewish power has finally been broken, but it will live on under the robe of Judaized/Kabbalized Christianity. To better understand why I say all this, you’ll need to read “End Times” Programming. Rest assured that for political purposes, the “authorities” will find an ISIS affiliation with any potential convention shooters. A primary objective of these potential attacks would be to provide pretext for the globalists to move more US troops to the Middle East before the planned September war. According to the public narrative, both Republican and Democratic leaders would be outraged at ISIS and join for a bipartisan push for a full-on ground war. This entry was posted in Globalist Agenda Watch 2016, NWO on July 18, 2016 by kenneth. “A total of 2,839 military officers were detained, a source in the President’s office said. And the Ankara chief public prosecutor’s office took nearly 200 top Turkish court officials into custody, Anatolian News Agency reported Saturday. So why are court officials being arrested in a supposed military coup? Did Erdogan himself stage this coup so he could rid the government and military of his opponents? It sure smells like it. Given that there has been absolutely no time whatsoever to investigate who was behind it, how else would he have known which 2,839 specific military officers and which 188 specific court officials to arrest? It looks like he already had his enemy list prepared, and he used this staged event to round them up. > “he believes in science” – Wouldn’t you know it, both the Jews and the Jesuits (the Crypto-Jewish order that has captured the Roman Catholic Church) are big into science, and along with the “Royals,” they are the ones driving us into the multilateral / multipolar New World Order. > “he believes in… interfaith dialogue among the People of the Book” – As I laid out in “End Times” Programming, one of the objectives of the NWO-builders is to unite the “People of the Book” – along with the other religions – into a “Spiritual UN” based in Jerusalem (as an intermediate step to something truly diabolical). > “he believes in… multi-party democracy” – While this sounds good on the surface, the reality is that all our democracies are improperly-structured shams. Hierarchical “democracy” was put in place as a buffer layer between us and the Occulted Powers (the royals, bankster Jews, priests, and their subordinate secret societies) that rule us from behind the scenes. Our secret rulers have found that multi-party “democracies” work the best, since they offer a variety of political brands to lure more people into the system. > “He has initiated such dialogue with the Vatican and some Jewish organizations” – Of course he has – they are running the show. Just like Trump is for America, Gulen is a tailor-made candidate for leading Turkey when the multilateral New World Order kicks off later this year. 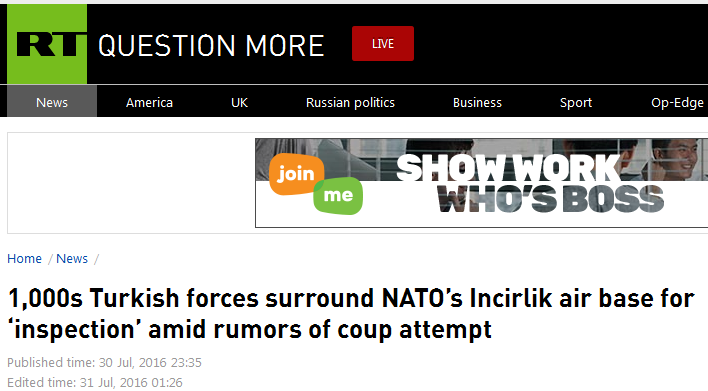 So when the Transition Point comes, watch for the media to out Erdogan’s planning of yesterday’s coup (as well as his covert support of ISIS and other wrongdoings). This will make his supposed foe, Gulen, look very good and lead to his triumphant return to Turkey. “The globalists are in the process of running a problem / reaction / SOLUTION scam on us, not a problem / reaction / PROBLEM scam. 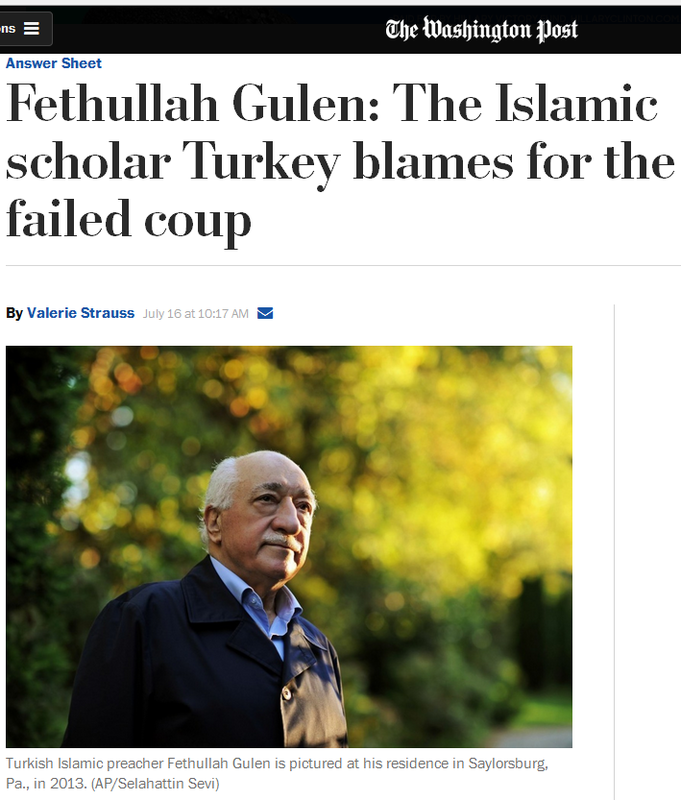 In the scam, Erdogan’s government is the “dark, scary fascist regime” and “the corrupt,” and Gulen is the NWO savior who will rescue Turkey from the darkness… for a time. This entry was posted in Globalist Agenda Watch 2016, Miscellaneous Ramblings, NWO on July 16, 2016 by kenneth. …So it is no accident that the recent black vs. police violence has been heavily publicized and amplified at this particular time. The massacre of policemen in Dallas happened in conjunction with a demonstration by the globalist-funded Black Lives Matter (BLM) group, and can you guess how that group feels about Donald Trump? DeRay Mckesson, one of BLM’s main spokesmen, has said that Trump is “evil,” and that “I think there will likely be protesters at the convention, whether they consider themselves a part of the movement or consider themselves part of the public that doesn’t want a bigot and a racist man to be the next president,” – From CNN.com. And this quote came before the recent police-on-black and black-on-police shootings. “The incidents were the latest in a series of increasingly violent altercations between protesters, Trump supporters and police at the presumptive Republican nominee’s campaign events. A week ago, it was Albuquerque descending into chaos as the city was shaken by raucous riots and arrests outside a Trump rally. A month earlier it was Costa Mesa, Calif.
Now take these violent protest groups and toss in undercover FBI/CIA instigators and Masonic policemen to provoke both the police and the crowd in order to set off the powder keg. Then, to top it off, add opportunistic Cleveland youths who will turn out in numbers to add to the mayhem once the violence gets started. That’s quite a recipe for drama, wouldn’t you agree? We could see shootings, stabbings, burnings, pipe bombings, arson, looting, blocked roadways — a city on fire. And while the “silent majority” watch all this outrageous behavior with seething anger, the Republican Establishment within the Convention and the mainstream media covering the Convention will appear to do everything possible to stymie Trump’s Presidential run. So what’s the point of all this? To get the frustrated, embattled average joe to identify with the frustrated, embattled Trump and see him as the last chance to stop all the madness. 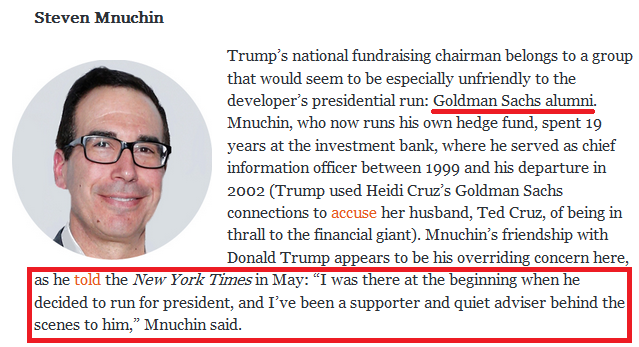 With the whole Establishment seemingly arrayed against Trump, he’ll be seen as the “Anti-Establishment” guy who will save America and set things right. 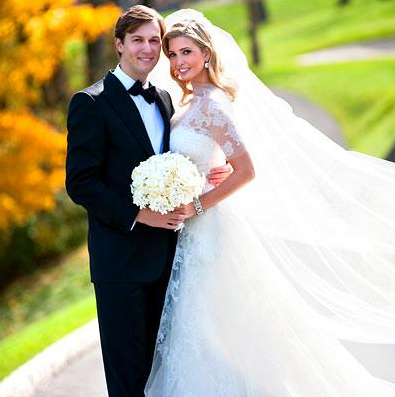 …with the Jewish Money Power that is orchestrating this whole show (both Ivanka Trump and her Money Power scion hubby, Jared Kushner, are Orthodox Jews). 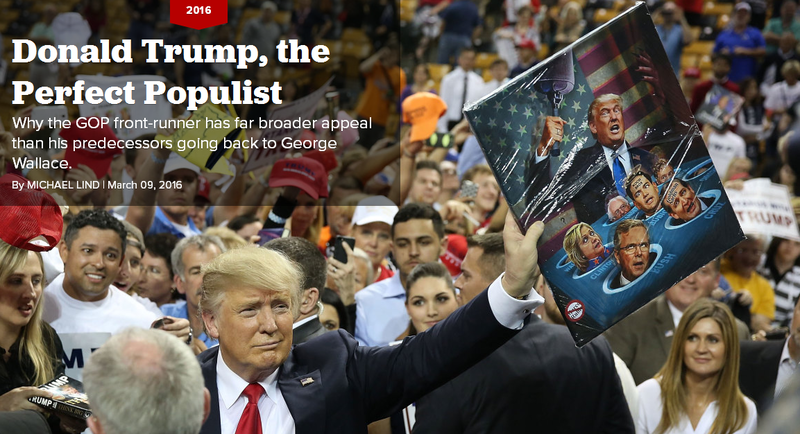 This entry was posted in Globalist Agenda Watch 2016 on July 11, 2016 by kenneth. …and that means that the Summer of Terror needs to ramp up soon. So be on the lookout for a coordinated, multiple-city attack in the US by “ISIS” sometime between tonight, July 4 and Tisha B’Av, August 14. It took six months for the US military to deploy its forces for the first Iraq War, but the deployment of such a large and heavy force will not be required for the next conflict. Since ISIS is a lightly-equipped foe, the ground forces that will fight them will largely be Marines and Army light infantry units, both of which can be quickly deployed. Most of the gear needed for the war has already been pre-positioned in the area. The international forces that will join both the US and Russian sides after the Olympics attack will also be light and relatively small in number, and they too will rely on equipment and munitions that have been pre-positioned by the US and Russia. As for the big terror attack that gets the US rolling into the Middle East again, tonight offers a great opportunity for the false-flag crowd to work their magic. 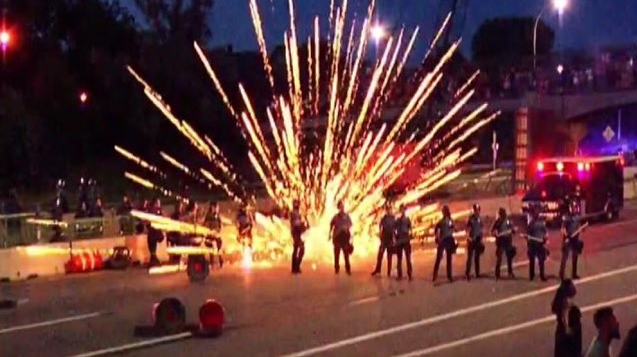 Whether the attacks are real or simulated, they would focus on crowds that have gathered to watch the fireworks, and would be timed to coincide with the rapid-fire climax of each show. The sounds of the fireworks would mask the explosions and gunfire, and people would have trouble recognizing an attack in the darkness. 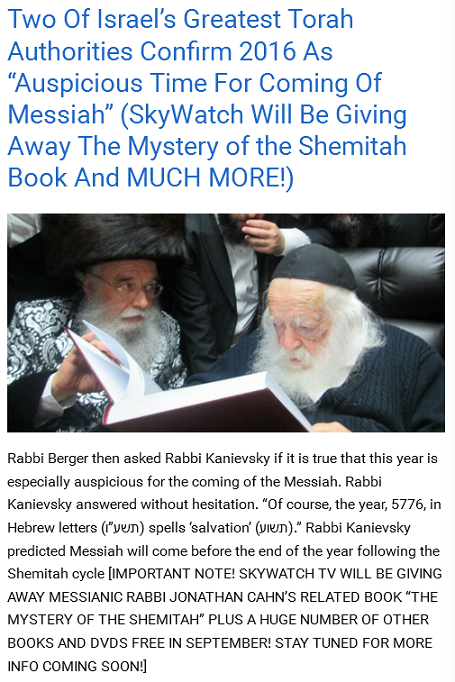 …and the date translates to 777, which the numerologists will love. 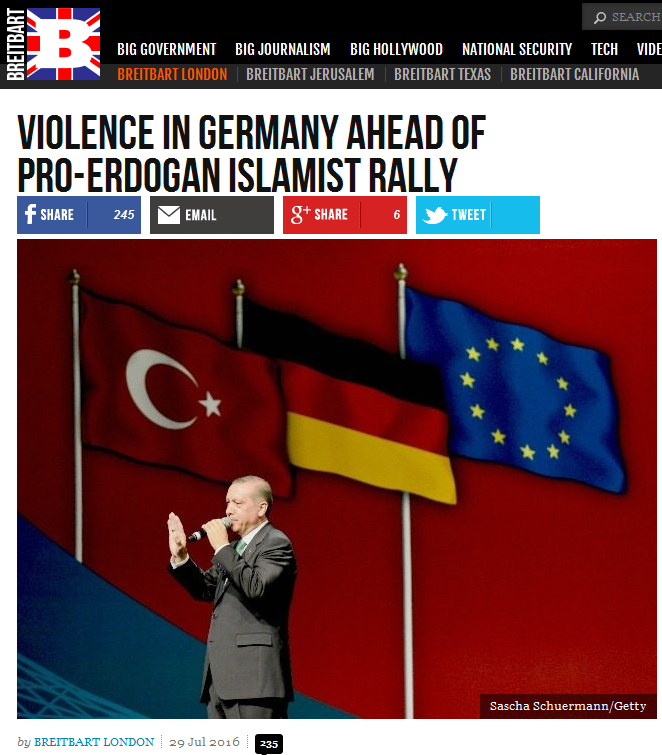 This entry was posted in Globalist Agenda Watch 2016 on July 4, 2016 by kenneth.